looking into the soul of the Earth at the largest lava lake in the world. Both activities are in the southern sector of the Virunga National Park and are more easily accessible than one might expect. Of course, when we’re talking about The Democratic Republic of the Congo, you wouldn’t be the first to be taken aback by the travel warnings, and, while Virunga National Park safety deserves your full attention, you can have an unforgettable, once in a lifetime kind of experience. 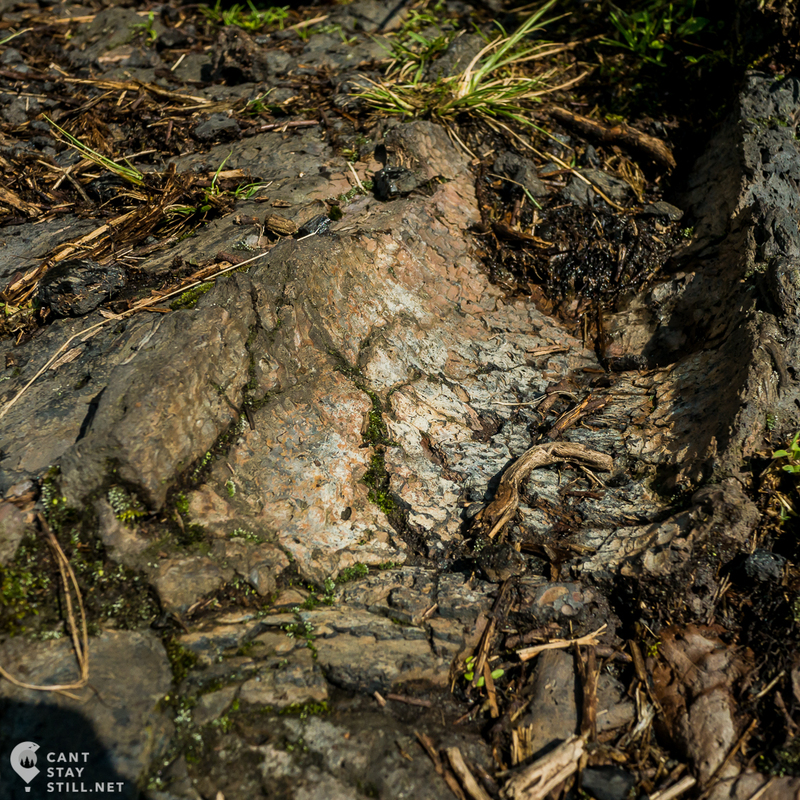 The park is famous for being home to the largest lava lake in the world and the associated risk is obvious. After the last eruption (2002), the destruction was extensive but most of the population was successfully evacuated as authorities were able to give advance warnings. Those who were killed, were mostly locals unwilling to leave their homes. While this risk is real, Goma Volcano Observatory is monitoring closely the entire area and any suspicious activity will lead to evacuating the area and taking travelers to safety before they realize what’s going on. The least known danger, but also the one that is potentially most deadly is a huge underwater gas deposit that can surface, causing a limnic eruption. While this kind of natural disaster would be deadly for the millions of people and animals in the Lake Kivu basin, it is a very rare occurrence, believed to happen every thousand of years, when the water is saturated with gas and something (like volcanic activity) disturbs the balance. If you take that, apply your hard studied statistics and compare the possibility of dying in Goma in a lake overturn or in traffic on your way to work you’re likely to move to Congo. In the last decades, Goma saw its share of conflict. It started with different groups activating in the Rwandan genocide setting camp across the border and that escalated over the years to a full-blown war. While Rwanda recovered, D.R. Congo still has bursts of violence and militias are still active but in the northern areas of the park. The relatively low rebel activity in the Goma area, coupled with the fact that all activities in the park happen in the presence of at least two fully armed guards, make for a safe experience and the park has a squeaky clean record of incidents involving tourists. In the three days I spent in the park, it was obvious to me that the rangers’ first priority is safety from all perspectives and they are well trained and prepared for any circumstances. The management will also temporarily close the park if traveler’s safety requires it. All this might seem scary, but if you’re honest with yourself, no place on earth is free from dangers. Of course, some of these dangers (like traffic accidents) are already familiar because you deal with them in your daily life and are less scary because of that. But you know that extraordinary experiences come when you decide to look beyond fear, when you do everything in your power to clear the path and then trust yourself to step into the unknown. keep in contact with the Park authorities and organize everything through them. Their first priority is keeping the travelers safe as the last thing they want is bad press. while in Goma, don’t go out at night by yourself (you won’t be missing anything) and ask the staff at your accommodation if you have any doubts regarding unsafe areas or situations. be suspicious of any offers from self-proclaimed ‘guides’: some are trying to rip you off, some are coming up with too-good-to-be-true that most probably are (in my case both offers came from the same person). follow whatever the park rangers tell you when on national park grounds. make sure your vaccines are up to date and bring your yellow fever certificate as well as any medicine you are likely to use, including anti-malarials. One of the first steps in the planning is deciding on the activities and buying the permits required for each of the park activities. These are easily organized through the Virunga National Park official website that allows online payment. At the time of payment you are required to select the date of your activity but, in my case, the actual permits were issued when I went to the office to pick them up and I had the option to change my mind about the date if I wanted to. Nyragongo Volcano hike starts at 10:30 am and that is compatible with crossing the Rwandan border the same day at 8:00 am. In this case, it is a good idea to organize the transport with the Virunga office so they know your plan and pick you up at the border. Gorilla tracking starts early in the morning and you will have to have spent the previous night in DR Congo (Goma city or one of the lodges in the park). Hiking the Nyragongo Volcano means you will spend the night at approx 3500m altitude in a hut that protects from the elements but that is not heated. Be prepared for wind, rain and, at night, freezing temperatures. Layered clothing that is appropriate for the temperatures and a warm sleeping bag are a must. They can be rented from the park for a 100USD fee that includes the food and gear. You can have food only for 75USD but there is no option for gear only. The Nyragongo Volcano hike is challenging. Expect sore muscles afterwards and plan physical activity accordingly. The National Park office closes at 4pm and you need to pick up your physical permits. If you arrive in Goma later than 4pm on the day before your activity, let the park know so they can organize internally. The easiest way to arrange the visa is, you guessed it, through the Virunga office. 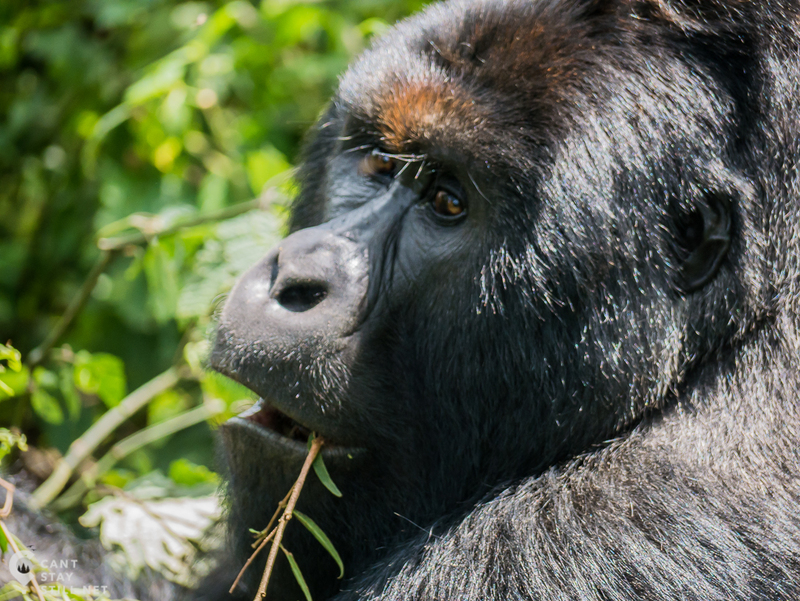 When you book a mountain gorilla tracking permit, a Nyiragongo trek permit, or book and pay for accommodation at the Mikeno Lodge, you are eligible for a pre-approved visa. You book it and pay online and the park office will apply on your behalf and will send you the confirmation by e-mail. You should have the print-out with you at the airport or at the Grand Barriere point in Gyiseny – Goma border. The actual visa will be stamped on your passport and will allow you to spend 14 days in the country. Just make sure you have a full page available. Visa cost is 105USD and takes 2-3 weeks to process (website specifies 14 days, it took 3 weeks in my case). Depending on your planned activities and budget you can stay in one of the lodges in the park or in Goma city. Staying in Goma gives you a wider variety of options in terms of comfort and budget, as well as a good place for observing the Congolese way of life. On the other hand, staying in a camp allows you to be closer to nature and away from the noisy, busy city. All the travelers that I spoke to and stayed in camps were thrilled with the experience, including the digital detox (no internet available). The national park is easiest accessed from Goma, the border town neighboring Rwandan Gisenyi. You can fly in from Kinshasa on a 3h flight, or travel from Kigali Rwanda on a 4h mini-bus (4USD) or 3h taxi (100USD) ride. The mini-bus is easily arranged from the Nyabugogo taxi park in Kigali and it would set you back 4USD. The taxi would cost 100USD and is best arranged in advance (https://visitvirunga.org/getting-here/) to make sure you don’t get overcharged. If you do come in through Kigali, make sure you stop over at the Genocide Memorial. It is a visit that will definitely change your perspective on life. Here is what you can expect in terms of expenses (prices per person). Non-essentials (like alcohol or souvenirs) are not included. Expensive? Yes. Worth it? Every single penny! There are less than 1000 mountain gorillas left in the world and they all live in the stunning highlands where Uganda, Rwanda and D.R. Congo meet. Out of the three countries, Congo is the only one where you can have also the chance of seeing a lava lake. Only in Congo you can be face to face with the gentle giants that are our genetic cousins on one day, and stand at the edge of the crater and look into the boiling core of the Earth, on the next. But a trip to the Virunga National Park is more than the trip of a lifetime. By visiting, you help conserve one of the most bio-diverse protected areas in Africa, you contribute to the local economy that desperately needs it and bring some stability to an otherwise highly vulnerable protected area.